I am not sure how many of these are rules, and some (or all) may very well be nothing more than my observations. It looks like this is just a very small, slightly abnormal case that is hung in an uncommon location/manner. When I have time to paint over where it was, I will take it off to try to see if there is a scroll inside. 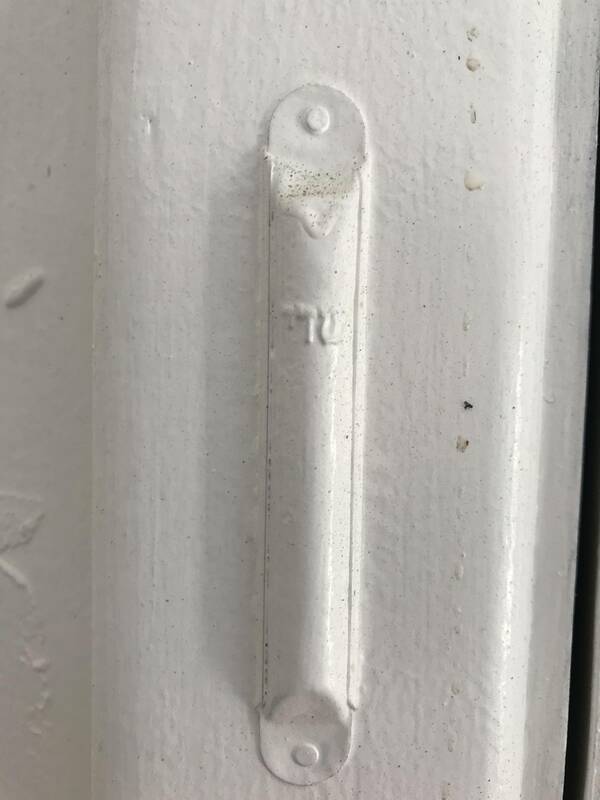 It definitely does look like a mezuzah cover. The sure way to find out is to unscrew or pry it open. If you can unscrew or pry off the cover and find a parchment inside, you've pretty much confirmed things. I've lived in NYC for my entire life. If you walk around looking at many apartment buildings esp. in former mainly Jewish NYC neighborhoods such as Harlem & Washington Heights, you'd see loads of these multiply painted mezuzot around. The outside lettering is not required, though it's customary. It may be "off" due to weathering or just poor artists skill. On the left side. Hmm ... it should be on the right side when entering the garage. Is it? I can't tell from the pic. Size of the cover doesn't really matter; The parchment needs to be a minimal size, easy enough to read the letters. There's most likely a minimal size for the lettering, which, most likely the parchment fits. In short, see if you can verify that there's parchment in there, and not, an empty cover. It is a Mezuzah case. The lettering seems off Those letters might be holy since G-ds name is written by them, (so maybe you can not destroy them). But since if is only they case they have no importance regarding the Mezuza.